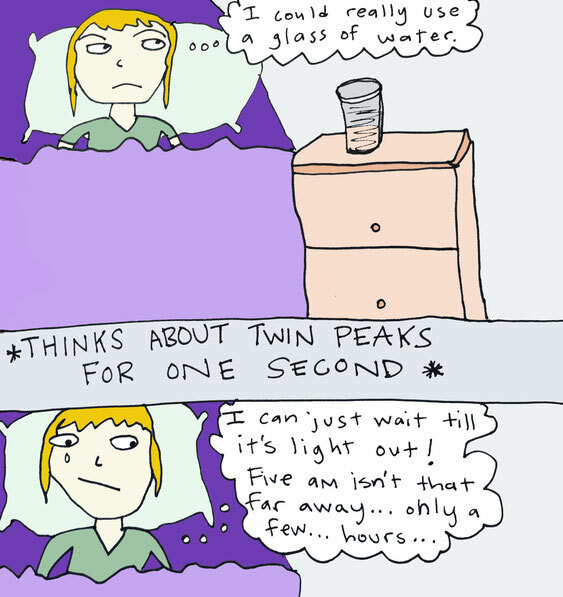 3 AM Lynch Thoughts - megandraws's JimdoPage! Woke up thinking about a glass of water...but it's dark on the way to the kitchen. 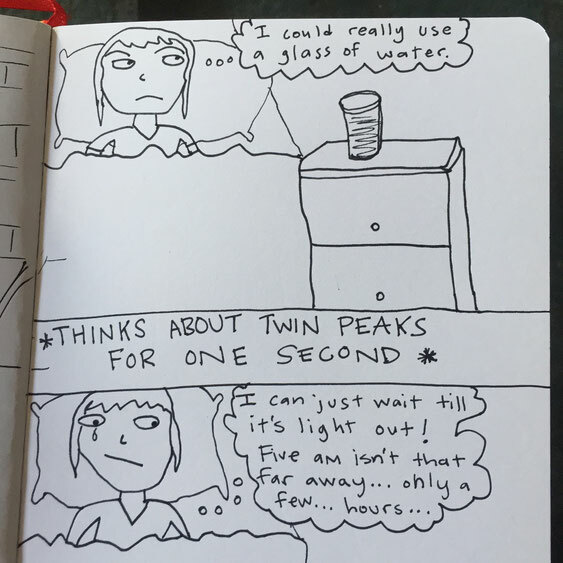 And Twin Peaks haunts my thoughts. Meh! Hydration is over-rated.